The most fulfilling spiritual practice in this season of my life developed unintentionally. As Pinterest became a part of the zeitgeist, I thanked the heavens that I had just exchanged my marriage vows. Those creative ideas that appeared charming online could only lead to headache and a shame spiral if I attempted them. I’d tried my hand at painting, knitting, jewelry making, and quilting, among other creative avenues. Tried my hand and cursed my terrible fine motor skills the entire time. Yet as friends began to say their own “I do”s, welcome children, and celebrate other big events in their lives, the pins beckoned. “Try me,” they said. “There are step-by-step directions even you can’t foul up,” they promised. I gave into the siren call and made a paper doll garland for a bridal tea. Then I made art deco signage for a 30th birthday. And then I made a Doctor Who inspired centerpiece for a graduation party. Not one of these crafts were flaw-free and none were easy for me to create. All of them were a joy to craft and share with people I love. Two years ago I became the transitional pastor at a small church that sought simple ways to enhance their worship space. One Sunday in connection with a sermon on gifts of the Spirit I made plain presents out of poster board and ribbon. These cheesy two-dimensional visuals (that took me way too long to make since I can’t draw or cut a straight line) stirred an awareness in my congregation. They didn’t have to buy expensive banners or be the best artists in order to enhance the worship space. They could be amateurs like me. They began to craft. Together we created a wilderness in the windows for Lent and fire-inspired pinwheels for Pentecost. We encouraged and complimented each others’ efforts. Crafts like rainbow wands and scripture bunting now enhance the worship space for seasons of the church or special Sundays. Sometimes I create things with a team; sometimes by myself. Almost everything I make is a copy of someone else’s work on Pinterest. On occasionally, it’s just closely inspired. The mental creative process is not my aim. When I craft for church I don’t focus on coming up with a new way to envision a scripture or make manifest a biblical theme. I relish engaging scripture not with my mind but with my hands. Turning my Pinterest love toward scripture did not turn this hobby into a spiritual practice. It made me realize it had become already become one. Crafting is the art I practice it – often badly! – and it has helped my soul in two profound ways. Techniques which other people can figure out by a quick glance at directions or by some artistic instinct take me forever. Braiding ribbon ends up with my fingers literally tied in knots. Découpage means I will be the object covered in paper rather than a vase or candlestick. Still I craft. I untie my fingers, take a deep breath, and try again. Other creative efforts have not inspired this level of patience. Mostly they have tested it and found it wanting. Maybe it’s because I’ve done a lot of this crafting in community. Maybe it’s because my love of Pinterest grew out of my desire to make friends’ events special. However it happened, I know love has infused this practice. I craft for those I love. Friends, family, God. This love inspires me to summon more patience than I thought I possessed. I could have a whole section of the website Pinterest Fail, where embarrassing attempts at recreating oh-so-perfect crafts on Pinterest go to die. Except they aren’t fails. Not to me. I, the woman who grumbled about that one B in high school years after she graduated, have lived into my imperfections. I feel in my bones the words I’ve long preached: failure does not equal sin. I still struggle with an internal narrative that says I can’t let others see my flaws but I’ve become more comfortable sharing something imperfect with others. Blemishes do not mean my efforts are worthless. Pinteresting is my accidental spiritual practice. I have longed believed that almost anything can be a spiritual practice if you come to the activity with an intentional heart. I still believe that to be true but now I’ve discovered that sometimes the unintentional practice can be just as powerful. Amy Fetterman is a Presbyterian Church (USA) Transitional Pastor based in Staunton, Virginia. She is mom to an industrious toddler, spouse to a great chef and computer whiz, and friend who will create mediocre crafts for all your big life events. 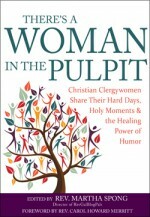 She co-authored Who’s Got Time: Spirituality for a Busy Generation (Chalice) and contributed to the RevGals book, There’s A Woman in the Pulpit (SkyLight Paths). 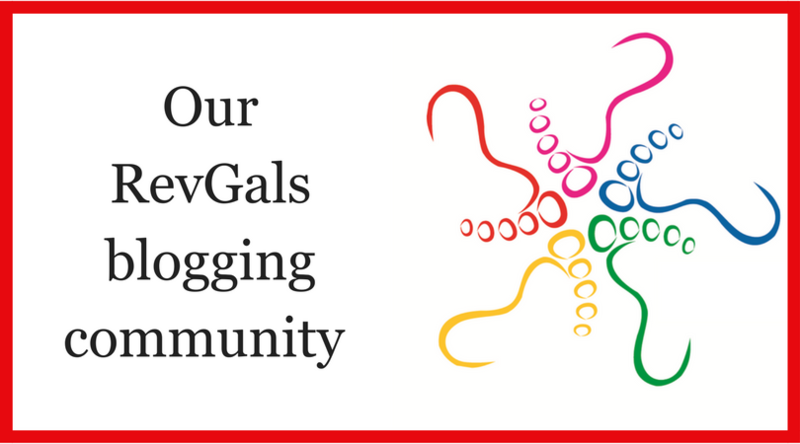 Would you like to contribute to our summer series on spiritual practices/disciplines Email revgalblogpals@gmail.com. Read earlier posts here: Sewing, by T. Denise Anderson; Never on Pointe, by Mary Beene; and Photography, by Catherine MacDonald. Wow!!! I am slowly getting in to Pinterest. Maybe when I retire at the end of the year, this will indeed become my spiritual discipline. I scrapbook and find such joy in what I create. I look at others’ pages and sigh thinking and wishing how I could do what they do. But I have discovered something I do and that I do it not badly either. Thank God for Pinterest (whoever thought I would have said that a few years back when I laughed at people who were on Pinterest!). I am not really crafty, but the site gives me hope. God’s love for me gives me hope. Thank you for your words and allowing me to see myself in this! Blessings. After reading this, I think that crafting is my spiritual practice and for the reasons you stated. And I would add that when I get lost in the project, I feel as if my emotions/thinking are getting a gentle massage. I end up calm (usually), focused, and energized. I am reading this many weeks later, but didn’t want to let my tardiness be a reason not to thank you for writing this! I love your writing, and your spirited crafting! Thank you for reminding me that perfection is not the point.